The Raspberry Pi is three years old today and in those three years over five million have been sold, and amazingly—thanks to the launch of the new Raspberry Pi 2—ten percent of these have been in the last three weeks. From humble beginnings on Eben and Liz Upton’s kitchen table the Pi has travelled a long way, and will soon be heading to the International Space Station. Amongst the celebrations, and pizza, there has also been some announcements—including an official Raspberry Pi case—and we hear that there’s also an official WiFi dongle coming along soon. So three years on, and five million boards later, I thought it might be fun to look back at some of my favourite Pi-powered projects we’ve featured here on the blog. The Crypto Currency Tracker—from the most recent issue of Make:—is a real-time tracker that routinely refreshes with the current values of your favourite digital currencies, including Bitcoin, Dogecoin and Litecoin, and compares them each against the US dollar. 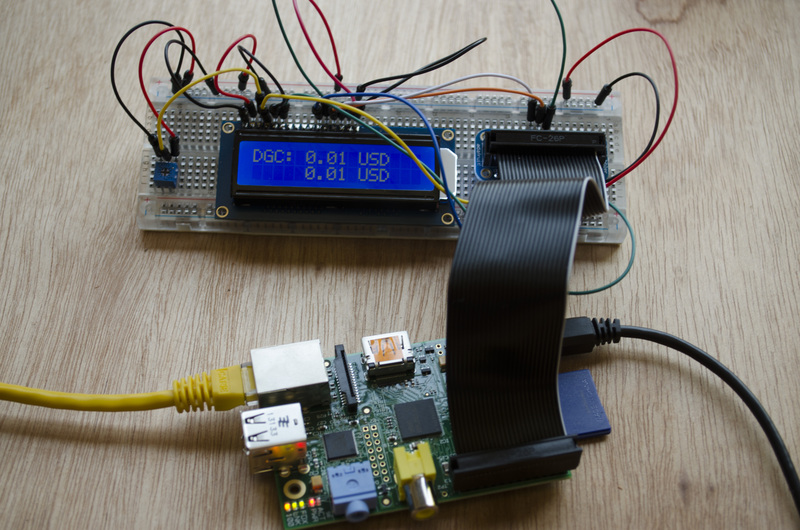 Browsing anonymously with a DIY Raspberry Pi VPN/TOR router. Serious about using the Internet securely? Then this project is for you. All you need is a Raspberry Pi, two USB WiFi dongles, an SD Card and a power plug. A Raspberry Pi powered safe that recognises your face. This one was from Make: Volume 40. Using a Raspberry Pi, a camera and some free software you can make a lockbox that opens only when it sees your face. A Raspberry Pi powered bulk programmer. If you have the need to program tens, hundreds or perhaps even thousands of Arduino boards, then you’ll be needing a bulk programmer. This one, built by Ben Prit the creator of Mirobot—who we talked to last year at Maker Faire UK—is of course built around a Raspberry Pi. Turning a Raspberry Pi into an FM transmitter. Sometimes the simplest hacks are the most impressive. This one—from Make: Volume 38—uses just a length of wire to turn your Raspberry Pi into a powerful FM transmitter, and is amongst the most impressive pieces of hackery I’ve seen done with the Pi. The PiPad—a Raspberry Pi powered tablet. Built by our own Michael Castor, the PiPad is an all-in-one system built around the Raspberry Pi. It’s usable, portable and Linux based—it also looks pretty cool. Possibly one of the most impressive projects I’ve seen. Built out of 48 individual Raspberry Pi boards, each with a Pi camera module attached, the Frozen Raspberry is a bullet time rig. Made famous by the fight scenes in the Matrix, the bullet time effect might seem almost common place today it’s been used so many times now in movies, however building a rig to duplicate the effect using the Raspberry Pi is an amazing technical achievement. I could have gone on, and on, here—because I’ve seen some amazing things built with the Pi, from an ROV, to a robot that collects ping pong balls. The Pi has been used for education, for making, and will soon be going into space. If you’ve just picked up a Pi there are plenty of things you can plug into it and plenty of projects to inspire your next build. Whilst there are other boards, in the three years it has been around the Raspberry Pi has become one of the most dominant, and perhaps more importantly has built a vibrant community that excels in making stone soup with the Pi.